Asunto: Re: THRESHOLD: Editan todos sus singles. Asunto: Re: THRESHOLD : Editan todos sus singles. "European Journey" fue grabado en noviembre de 2014 en diferentes actuaciones de la gira europea que siguió a su disco de estudio "For The Journey". "European Journey" será lanzado como un digipak 2-CD, el 13 de noviembre. 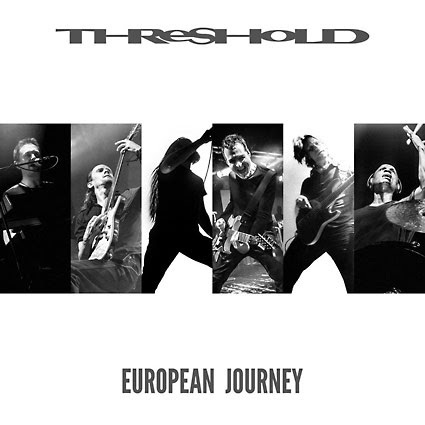 British progressive metal heroes THRESHOLD reveal first info on their upcoming new double-live-album »European Journey«, which was recorded at various venues across Europe during November 2014, in support of their current studio album »For The Journey«. »European Journey« contains 15 live tracks and will be released as a 2-CD digipak, out November, 13th. Richard West comments: "We had a fantastic tour playing so many fan favorites going back to '97 with 'Part Of The Chaos' through 'Mission Profile', 'Pilot In The Sky Of Dreams' to the present day with 'The Box'. We recorded some shows along the way and it's turned into this really powerful double album". "Threshold continue to enjoy fantastic support from our loyal fans. The band have always enjoyed mixing with the people who listen to our music and this tour was no exception”, adds Karl Groom. THRESHOLD video adelanto de su disco en directo "European Journey"
Threshold han prorrogado su contrato con la discográfica Nuclear Blast y en estos momentos se encuentran trabajando en un nuevo disco conceptual, el décimo primero de su carrera, que esperan lanzar en 2017. British progressive protagonists Threshold have signed a new contract with Nuclear Blast and extended their partnership after 10 successful years with the label. Guitarist Karl Groom states: "We're very happy to continue with Nuclear Blast and couldn't imagine a better fit for Threshold." Keyboard player Richard West adds: "Nuclear Blast have given us everything we could want from a label and we're really looking forward to releasing our new album with them." "2017 will be the year of Prog! ", adds Nuclear Blast CEO Markus Staiger. "We are very happy to continue our work with Threshold and bring a massive release to you next year!" Over the last 10 years with the Label, Threshold have released three studio albums, a double live album and reissues of the whole back catalogue. Currently, the band is working on their 11th masterpiece, a new concept album that is scheduled to be released in 2017. THRESHOLD: nuevo disco "Legends Of The Shires"
Threshold están grabando su undécimo disco en los estudios "Thin Ice" en Inglaterra, un nuevo álbum conceptual que llevará por título "Legends Of The Shires". El trabajo está siendo producido por Karl Groom y Richard West y será lanzado en 2017. Pronto se conocerán mas detalles. THRESHOLD - announce new tour dates + album title! 2016-12-21 - After ten successful years with the label Nuclear Blast, British progressive protagonists THRESHOLD have signed a new contract and extended their partnership with the label in July 2016. 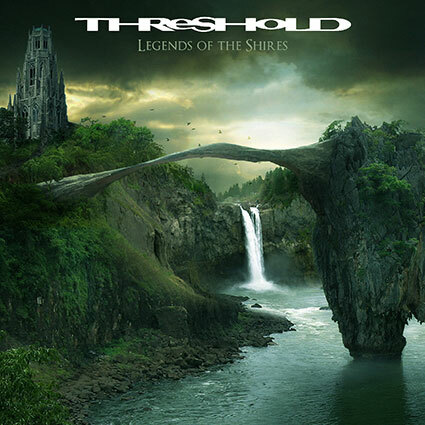 Furthermore, they have also announced plans for their next release: THRESHOLD are currently recording their 11th masterpiece at Thin Ice Studios in England, a new concept album that will be called »Legends Of The Shires«. It is being produced by Karl Groom and Richard West and it's scheduled to be released in 2017. More information will be revealed soon. But that's not enough: Today, the band is also announcing the dates for the »Legends Of The Shires«-Tour 2017 where you'll be able to fully experience songs from the new album on stage! Richard West comments: "It's great to be announcing these tour dates so soon, we can't wait to get on the road and perform for you. Our new album is coming together perfectly, we've got a lot of strong material so it might be our longest one yet." Threshold han prescindido de su vocalista Damian Wilson. La banda ha decidido comenzar un nuevo capítulo y él les ha dicho que respeta su decisión. 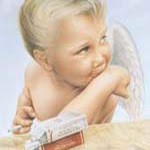 Wilson participó en los discos más recientes de la banda "For The Journey" y "March Of Progress", así como en sus primeros lanzamientos "Wounded Land" y "Extinct Instinct" en los años 90. Damian Wilson ha sido un gran líder para Threshold y la banda se lo quiere agradecer sinceramente y le desea éxito en todos sus futuros proyectos. El nuevo vocalista de Threshold será Glynn Morgan, ex vocalista de la banda de 1994 a 1996. Morgan apareció en el álbum de 1994 "Psychedelicatessen", y volvió a trabajar con la banda en 2008 para grabar pistas para el conjunto de singles "Paradox". Glynn Morgan comentó: "Estaba en la luna, cuando recibí una llamada telefónica, trabajar con Karl y Richard y ser parte de la poderosa historia de THRESHOLD una vez más, es un gran honor. El material ya me tiene enganchado." 2017-03-27 - THRESHOLD have parted ways with vocalist Damian Wilson. The band have chosen to start a new chapter without him and he has told them he respects their decision. Wilson enjoyed three stints with THRESHOLD, performing on the band's most recent records »For The Journey« and »March Of Progress« as well as their early releases »Wounded Land« and »Extinct Instinct« in the 1990's. Damian Wilson has been a great frontman for THRESHOLD and the band would like to sincerely thank him and wish him every success in his future endeavours. 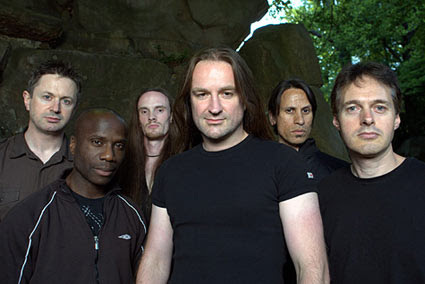 THRESHOLD's new frontman will be Glynn Morgan, the band's former vocalist from 1994 to 1996. Morgan appeared on THRESHOLD's 1994 album »Psychedelicatessen« and returned to work with the band in 2008 to record tracks for the singles box set »Paradox«. Glynn Morgan commented: "I was over the moon when I got the phone call. To work with Karl and Richard and be a part of the mighty THRESHOLD story once more is a great honour. I can't wait to start recording, the new material has me hooked already." THRESHOLD: detalles de su nuevo disco "Legends Of The Shires"
Threshold lanzará su nuevo álbum, "Legends Of The Shires", el 8 de septiembre a través de Nuclear Blast. 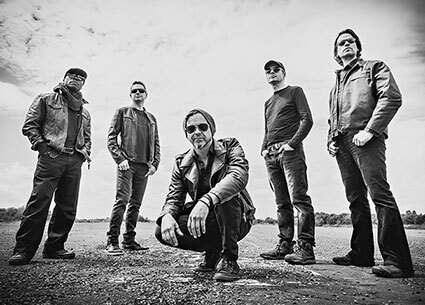 THRESHOLD - announce new album »Legends Of The Shires« & unveil artwork Listen to epic first single 'Lost In Translation'! 2017-07-14 - British Progressive icons THRESHOLD have announced their new album »Legends Of The Shires« will be released via Nuclear Blast on 8th September. Today the band unveiled the first single from the release, the ultra-prog epic 'Lost In Translation' which has a song length of over ten minutes! "We've made a monster of an album so we thought we should release a monster of a single! This epic really showcases the many sides of our sound and is a great prelude to our album release." »Legends Of The Shires« will be the band's eleventh studio album and their first ever double album; it also features Glynn Morgan back on vocal duties for the first time since 1996.